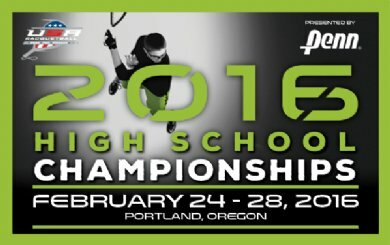 Welcome to the USA Racquetball 2016 National High School Championships. Presented by Penn Hosted at the Multnomah Athletic Club and Lloyd Athletic Club. ENTRY DEADLINE: Entries /rosters via email or fax must be received no later than February 5 (post–marked by Feb. 2). Late entry deadline is February 14th however players will not be guaranteed a seeded position. Entries will be accepted up to February 10, but you will have to use R2 entry system and forward the required documentation via Email or Fax. Only prepaid entries are placed into the draw; withdrawals will be subject to a $10.00 service fee; no refunds after February 10. Entries can be confirmed on-line, by following event links on USARacquetball.com. OFFICIATING: Match losers are required to referee. Players who do not referee will be penalized 500 points (from team total). REFEREE TESTING: All Players are required to take the online Junior Referee Test prior to the event. The test is FREE!! If you have previously completed the online junior referee test, you do not have to take it again. However, it is advisable that each player review the rules prior to the beginning of competition.